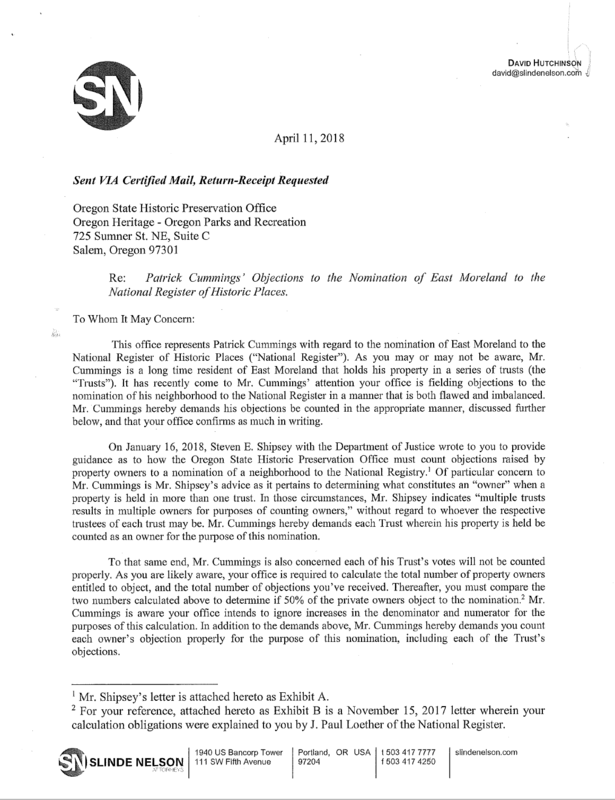 If you were going to create thousands of trusts to undermine the majority of Eastmoreland residents who support the historic district, wouldn’t you expect a certain amount of attention and perhaps even celebrate the use of these tactics? The answer appears to be a pretty resounding “no” for the four households that employed the use of 5,000 trusts to object to the HD. We have scarcely heard a peep from Roberta Altstadt, Erica Hetfeld-Schpak, Susan Zeidler or Leo Frishberg. The only one of the opponents who has publicly acknowledged it is Patrick Cummings, and even then did so only via email when confronted by news media who learned of his actions. As the news of this has reached more neighbors, many of whom are disgusted by the underhandedness of this, we’re now seeing an effort to suppress this information. 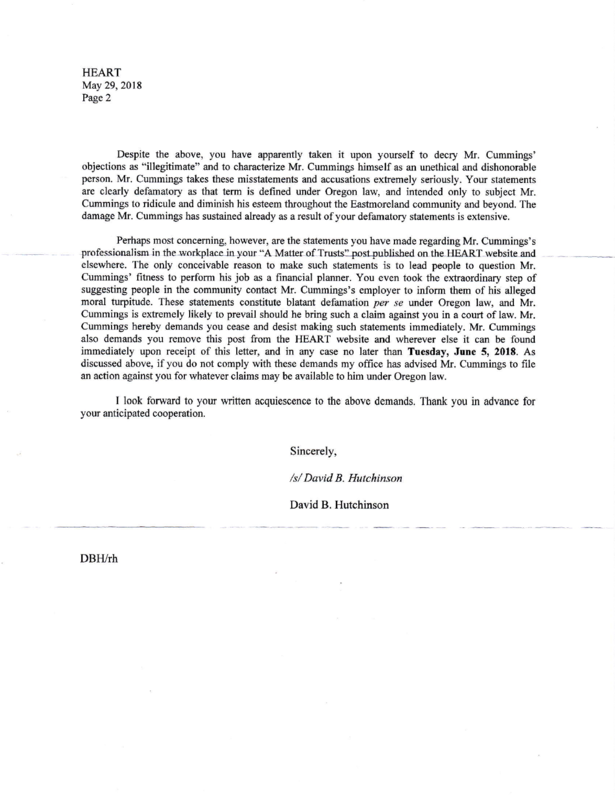 More recently, Cummings’ attorney sent a cease and desist letter to HEART demanding that the web page and posts that identify him and his actions be removed, or else he will bring legal action against its founders. 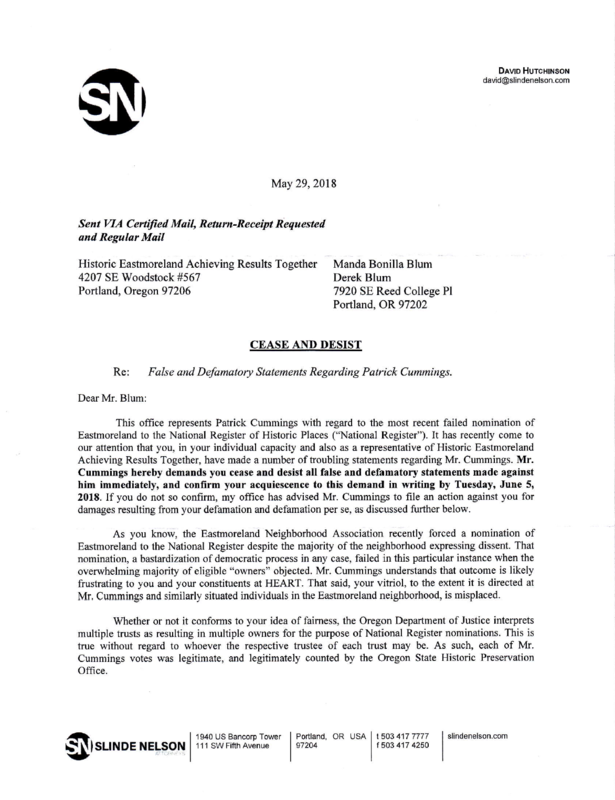 So Cummings is now prepared to sue his neighbors for exposing his public actions (and yes, these actions are a matter of public record and public interest given the impact they have on the historic district outcome in Eastmoreland). He may wish to suppress this information and avoid the scrutiny and judgment that goes along with his actions, but he doesn’t have that privilege. 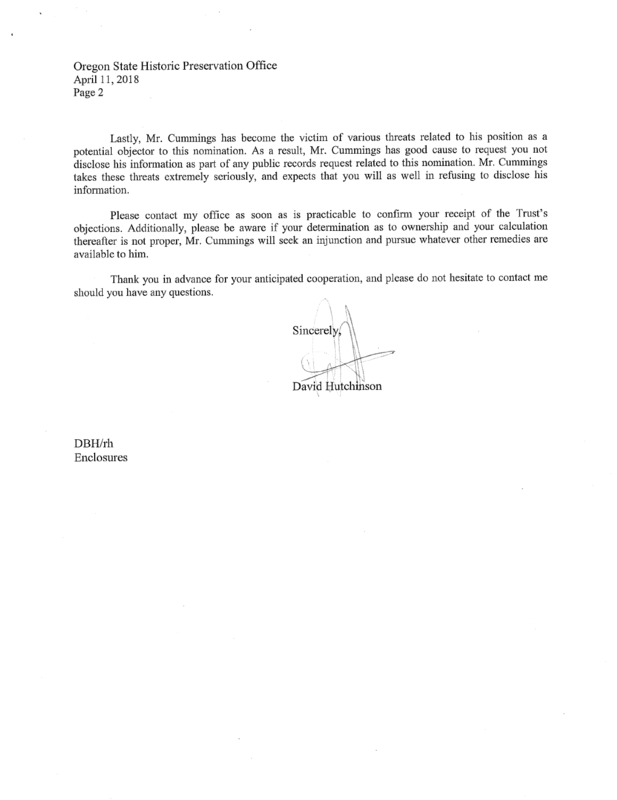 Actions have consequences and if neighbors judge him as unethical or dishonest (as many have), these are considerations he should have made before attempting to undermine the process. Similar threats have not (yet) been made by Cummings’ co-conspirators who have chosen to lay low and avoid the negative attention their actions have warranted. Get more information on the trusts here.